I love to walk down the tree-lined section of Taylor Street passing Flirty Cupcakes, the home of the former restaurant Florence owned by neighborhood icon the late Florence Scala, and wonder what our “Little Italy” neighborhood was like many years ago. Not far from there sits Al’s Beef, another iconic piece of Taylor Street restaurant history. 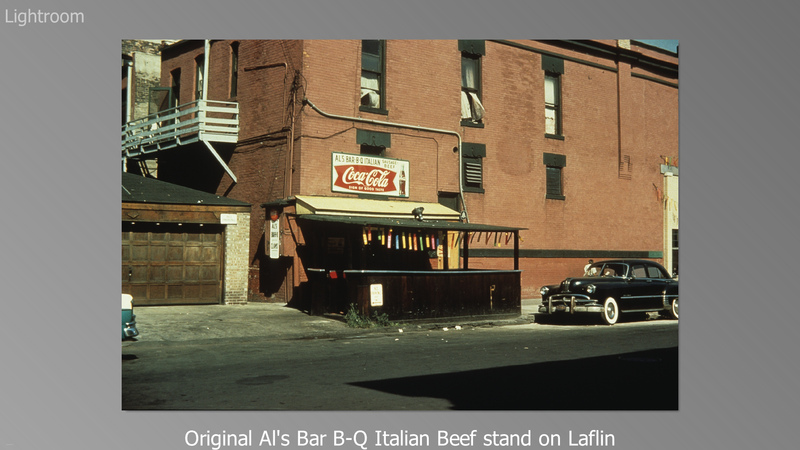 Who would have thought that when Al’s Beef, founded in 1938, moved from a small stand on Laflin Street to its current location on Taylor Street it would make such a name for itself. According to Al’s Beef’s website, Al Ferreri and his sister and brother-in-law, Frances and Chris Pacelli, Sr. began developing what is known today as one of the “Top 10 Sandwiches in America.” They started franchising in 1999 and now Mike Ditka has signed on to be their spokesperson as they expand into many other states. Congratulations to Al’s. This is such a great community and we are so proud of our restaurant success stories. Going west we have a new generation of restaurants like Three Aces, County BBQ and Davanti Enoteca that brings many people to Taylor Street and we welcome back Scafuri Bakery, which opened in 1904 and stayed in business until 2007 when it closed it’s doors for the first time. They reopened again in May, 2013 and just celebrated their first year anniversary. Congratulations to the Scafuri family and their legacy. We are so glad to have you back. To top all of this off we also have a TOP CHEF living in our midst! Chef Stephanie Izard, winner of the 4th season of Bravo’s TOP CHEF, has recently purchased a home in the area. We welcome Stephanie and her husband to our community. Please do plan on coming over to Taylor Street for a meal to remember. May many generations to come be able to do the same thing as our restaurants take their place in our culinary history and we wish all continued success. ← Pilsen Community Market Outdoor Season is now open!